Live on Kickstarter, SPIN offers a beautiful, soothing and warm fire for indoors & outdoors. 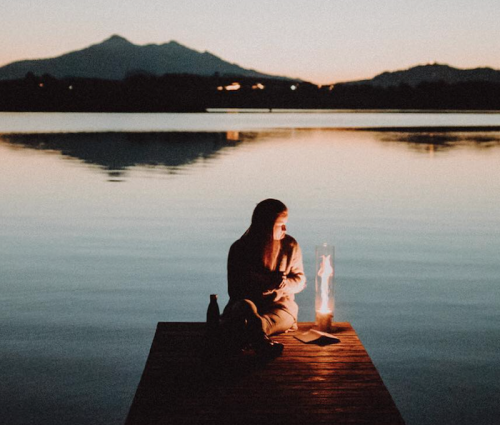 Kempten, Germany - March 18, 2019 /MarketersMedia/ — SPIN, the revolutionary new spinning flame lantern that offers beautiful, soothing warm atmospheres, is live on global crowdfunding platform Kickstarter and a breakout crowdfunding success having already raised more than $300k. Since the beginning of mankind’s existence, nothing has provided a more soothing or mesmerizing feeling than a fresh, glowing fire. Captivating people with its cozy crackle and dance of the flames, fire has brought people together while giving a pleasant warmth. SPIN gives everyone their own personal fire tornado offering a stunning array of flames in a decorative glass cylinder. SPIN works by using three guide plates that cause air to rotate even before it reaches the flame. The thermal lift of the flame itself accelerates the air, and the chimney effect caused by SPIN’s glass tube boosts the flow by up to 500% without any extra energy. SPIN offers three unique ways to enjoy our species’ greatest discovery; the standard height lantern, added elevation, and an extend pole ‘torch’ mode. höfats brings fire to your life. höfats is a young design company from the beautiful Allgäu (Allgaeu) region in the south of Germany which conceives, develops and sells fascinating products that all revolve around our central theme – open fire in open spaces.